Jeffery is attending Simmons University in Boston, MA and will be graduating in August as a Nurse Practitioner. He is currently completing his Family-Rural Health Rotation. 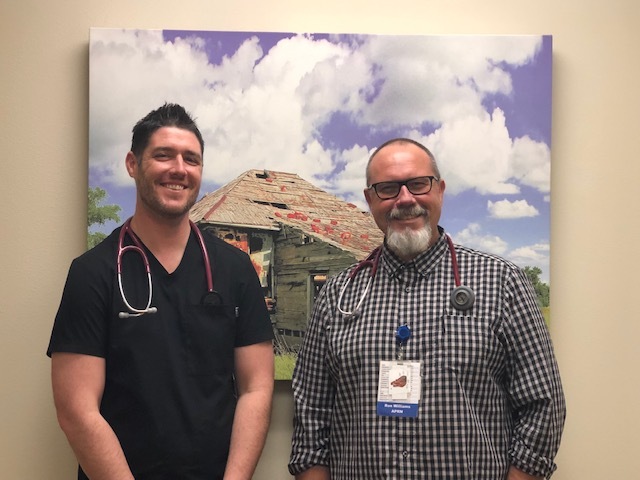 Jeffery is shadowing Ron Williams, APRN. I am from Omaha, Nebraska. I have been following with Ron Williams. I want to become a Primary Care Provider for the whole family because I enjoy taking care of people throughout their life span. The patients have been wonderful. I am amazed at the resources of the hospital. All staff that I have interacted with have been amazing. I really enjoy it here. I play golf and basketball with my children and stay as active as possible. I wanted to advance my understanding of primary care.